Shortly after opening a Los Angeles brick and mortar location during this year's NBA All-Star Weekend, streetwear mainstay BAPE continues to unveil exclusive apparel manufactured for their Californian customers. 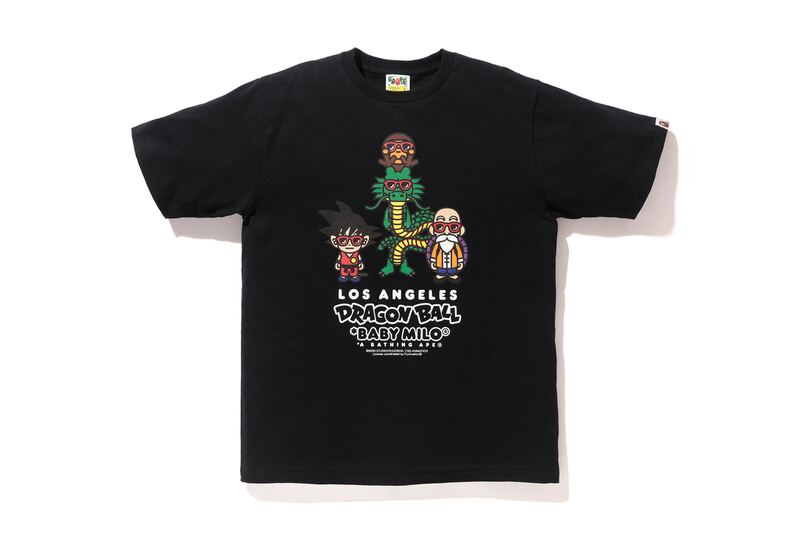 After initially collaborating with mastermind Japan on a limited edition collection of fashionable goods, the brand is looking to expand their horizons by linking up with Dragon Ball, one of the most transcendent and beloved anime franchises of all time. 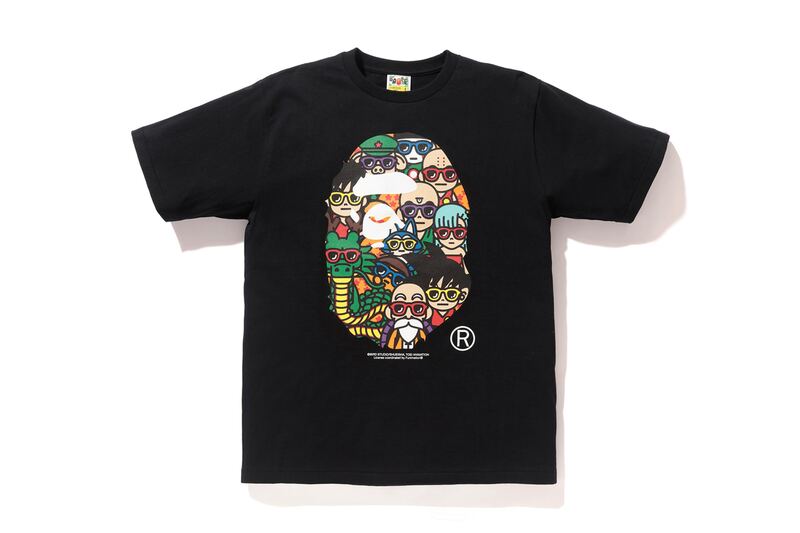 The capsule collection is made up of four t-shirts that bear the signature BAPE Baby Milo motif coexisting next to a slew of characters from Dragon Ball including Goku, Shenron and Master Roshi. 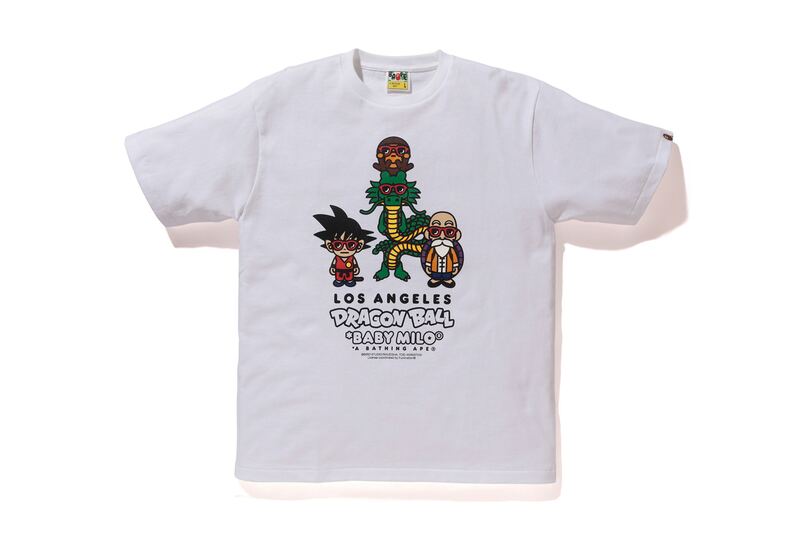 The exclusive run of t-shirts will be available on Saturday, May 5, and will retail for $115 USD a pop.